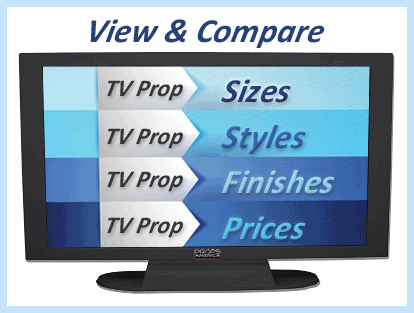 At Props America we know how important it is to stay up to date with trends; this is why we offer a wide variety of electronic fake prop equipment with optional customizable screen images to create an authentic look to the props for your photoshoot, set or home staging. From TV’s to tablets to computers, we have a variety of electronic props needed to have an up to date in style look and feel for any project. Making sure you have up to date technology themed props on your set may not seem as important as large furniture pieces but pause for a moment and think again. Yes, big details like large pieces of furniture (sofas, chairs, coffee tables, office desks, bookshelves, etc) are important, but the smaller details can really define a room, giving it character and a bit of added pizzazz. With 39% of American households claiming to have 3 or more TV’s in their home, that is one very important prop. If you’re dressing or staging a living room scene you should consider adding a television set. (You can read more about how to size and place a TV set for you project in this article. 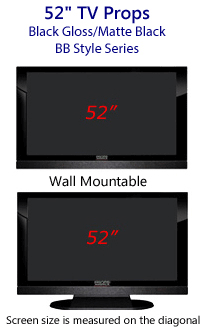 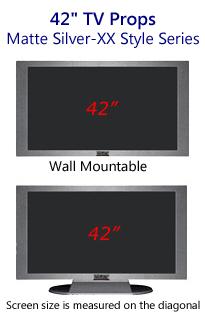 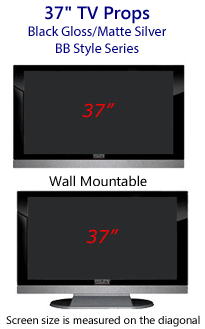 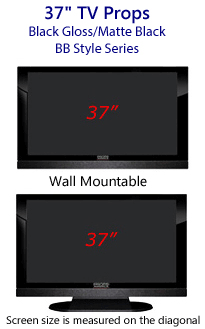 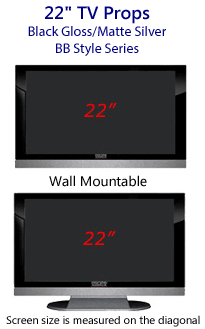 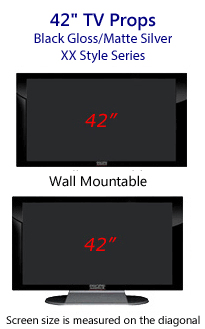 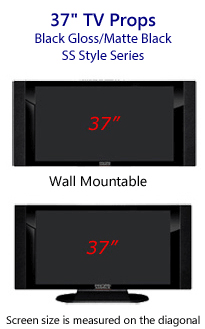 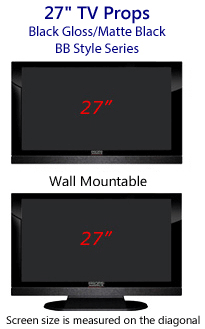 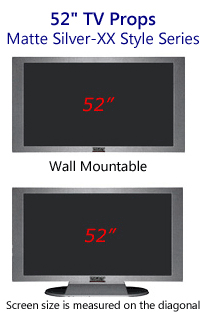 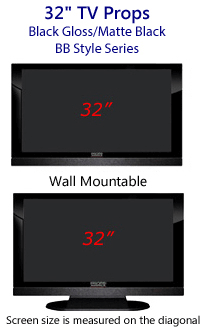 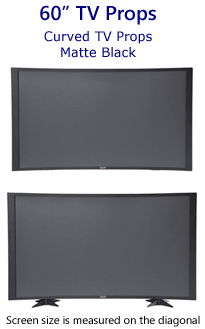 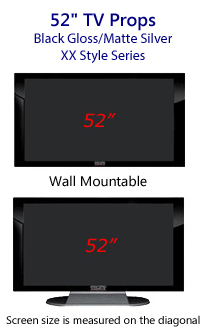 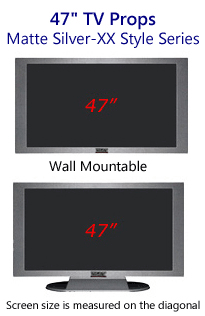 We offer flat and curved screen television sets that can be wall mounted or put on stands with screens ranging from 22”- 60”. 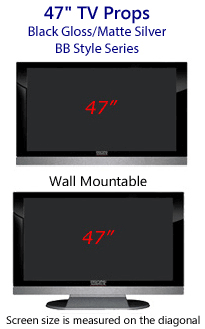 They are made to look like plasma or HD screens with or without speakers and our prop TV’s are top notch. Highlighting tablets in your space is a good idea as well as there are 1.1 billion tablet users worldwide. 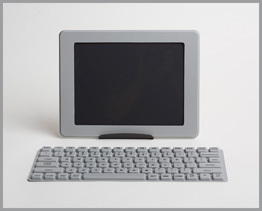 Our prop tablets come in three colors: white, silver and black with an optional keyboard (sold separately). You can choose whether the displays are vertical or portrait and can provide custom artwork for the tablet or use some of our pre-made options. Props America prop tablets come with a stand and are made in a matte finish to ward off fingerprints! With consumers converting to using smaller electronics (like tablets) to do what larger ones (like computers) used to do, staging these tiny devices around will showcase where your customers may be able to place theirs and therefore increase their interests in your offerings. 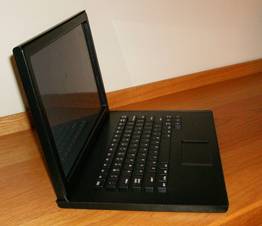 A computer or laptop is a must when staging an office space. 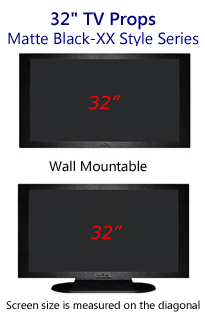 Our fake computer prop monitor measures 22" on the diagonal with a molded 3D keyboard with stationary keys. The visible screen or picture area of the dummy computers can be customized or like the tablet you can choose from a pre-designed template. Our models which come in black, silver or white look realistic enough to showcase the potential of having a computer in the staged room. Laptops may be losing some thunder to tablets but are still viable options to showcase how one can use a space in multiple ways. If you’re staging a kitchen with a desk/alcove area for example, you can diversify the space by putting a laptop there. 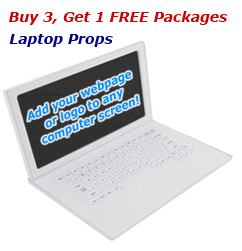 Props America’s laptops are some of our best sellers for good reason. 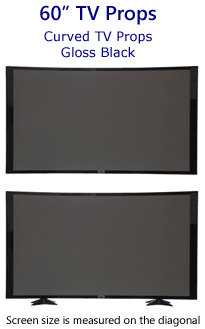 They open and close and come in black, silver and white. 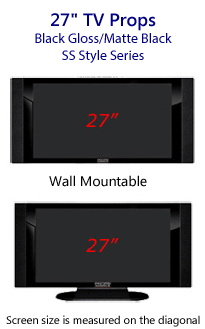 They’re also a great place to market your business as we can easily place your logo on the screen! Utilizing technology when staging your room or dressing your set is well worth it. It’s those finishing touches that make a place look truly lived in. 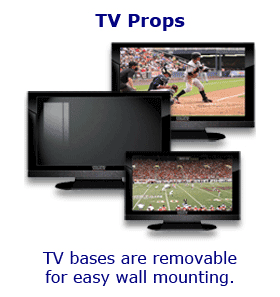 All our electronic props at Props America whether simulated flat screen TV props or computer props are made in the USA at Props America's manufacturing facilities. 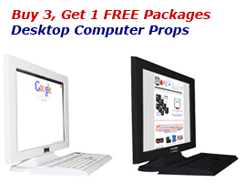 Products are shipped factory direct to ensure you the lowest price and quick delivery times. Props America flat screen television props and laptop computer props are made of molded polystyrene (durable molded plastic) for a long and durable shelf life with multiples uses of assembly and disassembly. While cardboard TV props (box props) and cardboard computer props sag, warp and peel; you will never have this problem with your Props America decorative flat screen TV props and molded plastic computer props. 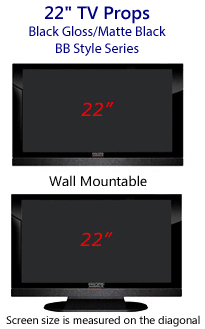 Next time you’re in the market for some fake prop electronics, contact one of our friendly customer service agents. We will be happy to help you select the best electronic props for your project.